Singer Songwriter solo artist from Los Angeles Ca. Funky Disco influenced throwback channeling Niles Rodgers Chic and Daft Punk. Feel Good summer track about falling in Love. This release also includes a Deep House remix done by Midnite Child. FL Jones’s story is one of funk and perseverance, of staying true to the music of his passion and roots in defiance of the mundane and mainstream. Jones is a soul man who can do it all - sing, write and perform - and his gift for melody has gained him worldwide recognition among the music industry’s best and brightest. Music has been the focal point of Jones’s life, starting when he was five years old, belting out songs at the local barber shop. It wasn’t long before he discovered The Beatles, Sly and the Family Stone, Stevie Wonder, Donnie Hathaway and other greats of rock and soul, fueling his passion to a whole new level. Although he might have grown up in the age of hip-hop, his heart was stolen by R&B. Jones honed his craft iwhile performing at some of the hottest clubs and theaters in the U.S. Eventually landing in New York City, he was continuously tested by the city with all of the challenges it throws at artists daring to dream big. It was in NYC that he landed his first major breakthrough: a leading role in the the legendary musical, “Rent.” The production led to performances on Australian morning television, where he gained nationwide recognition, as well as a Rolling Stone Australia interview and photoshoot. Returning to the U.S., FL began playing extensively in New York at venues such as the Jazz Standard, Sullivan’s Hall, the Bitter End and the Cutting Room. He also scored the feature film, “200 American” and served as a composer and music supervisor on the films "Whirlwind", "Raw Moves", and most recently "Naked As We Came In". In 2009, FL released his debut album Becoming Myself, working with producer and co-writer Michael Levey. The album was a critical success, garnering a semi-finalist nomination for “best new artist” on SoulTracks.com, the largest indie-soul website in the world, and led to many festival and conference appearances, as well as a two year co-publishing contract with Dramatico Publishing. His work remains a favorite of DJs around the globe, who are continually remixing some of his most well-known tracks. Today, FL’s work continues to light up dance floors and electrify audiences across Europe and the U.S. When he isn’t on stage or in the studio, Jones can usually be found pursuing his other passions, which are inspiring youth to be innovators and developing new musical and literary projects. 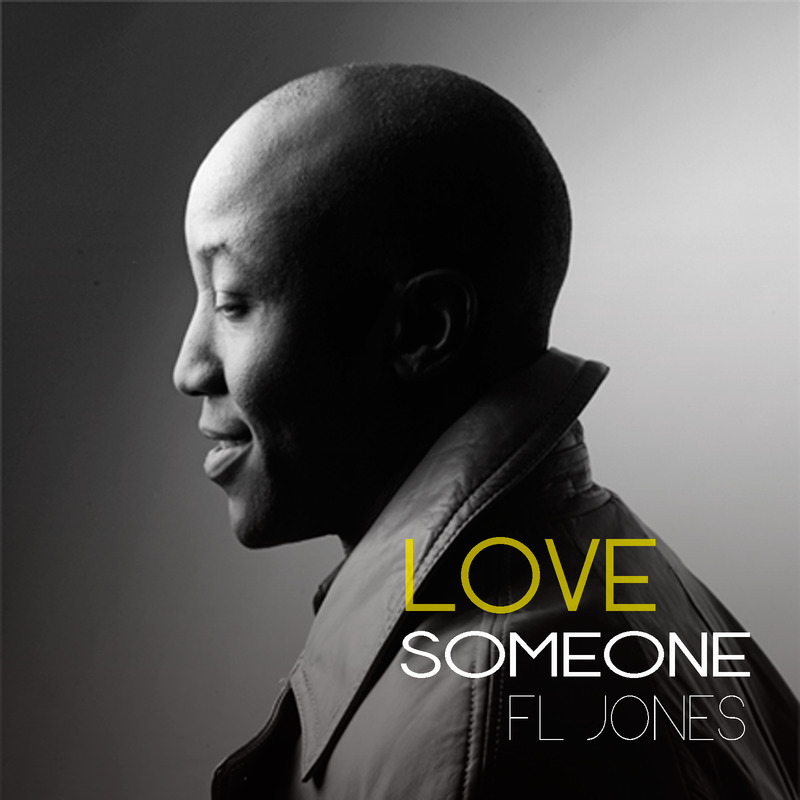 Summary: FL Jones, a popular DIY singer-songwriter from Los Angeles CA is releasing his second album Love Someone. The album is led off by the funky disco track "Love Someone" and the deep house "Love Someone-Midnite Child remix". June 25, 2015: FL Jones is a modern day renaissance man, Singer, Songwriter, Producer, and Educator. Jones recently relocated to Los Angeles CA from NYC. Where when he isn't performing onstage until the wee hours of the morning, he is on a crusade to convince schools of the importance of teaching students how to be innovators! This DIY artist does it all, writing and producing his home grown “mashup” of Funk, Pop, Rock and Soul.The singer is set to release his second album Love Someone on August 1st 2015, The self-produced eight song EP was recorded in NYC and had bonus tracks added when Jones moved to Los Angeles. The elbum is an eclectic mix of urban alternative soul music. In 2009, FL released his debut album ‘Becoming Myself’ in collaboration with producer and co-writer Michael Levey. Becoming Myself garnered Jones a semi-finalist nomination for best new artist on SoulTracks, the largest indie soul music website in the world. Jones was also signed to a two year publishing deal with Dramatico Publishing.The album was a critical success. And the single " I Choose You" ended up on many dj's top 10 lists for the end of the year. With his latest album, Love Someone, FL is taking the soul tradition and pushing it forward with a commitment to pursue a bigger audience, and the intent to continue to redefine modern soul music. He is extremely popular among DJs across the world due to his music that allows them mix new beats of his famous tracks. Today, FL’s work continues to light up dance floors and electrify audiences across Europe and the U.S.
FL Jones is a DIY singer, songwriter , and educator currently residing in Los Angeles. He can be found breaking hips all across Southern California performing with funk band “A Certain Groove”. He is preparing to launch a new solo EP with a second band he’s building from the ground up.